In June we take 150+ Year 7 students onto the Rifle Range to meet our volunteer experts who explain about the Downs and what makes the Steyning Downland so special. We’ve had beekeepers, botanists, tree experts. historians and many others take 20 minute lessons to groups of students through the day. 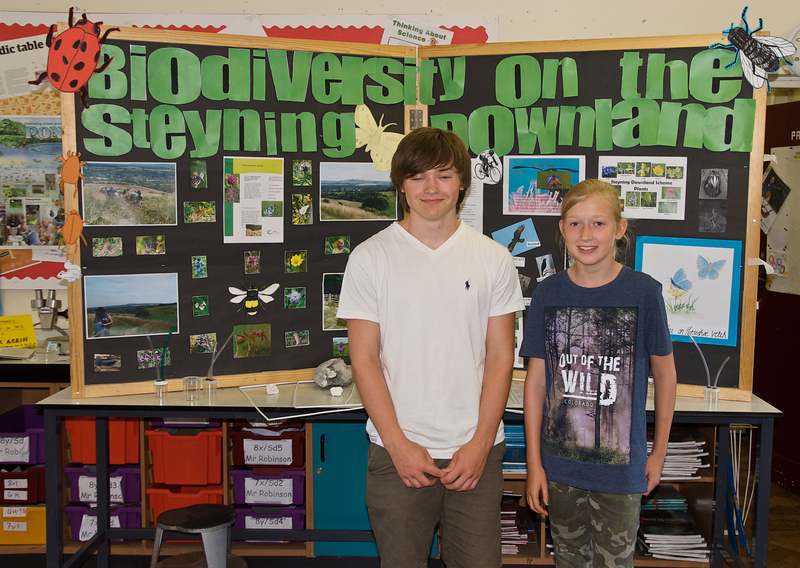 After their visit, the students produce a wide range of project work, based on the things they have learned on the Steyning Downland Scheme. The standard is always astonishingly high and our volunteer experts have the difficult job of awarding prizes to the best! 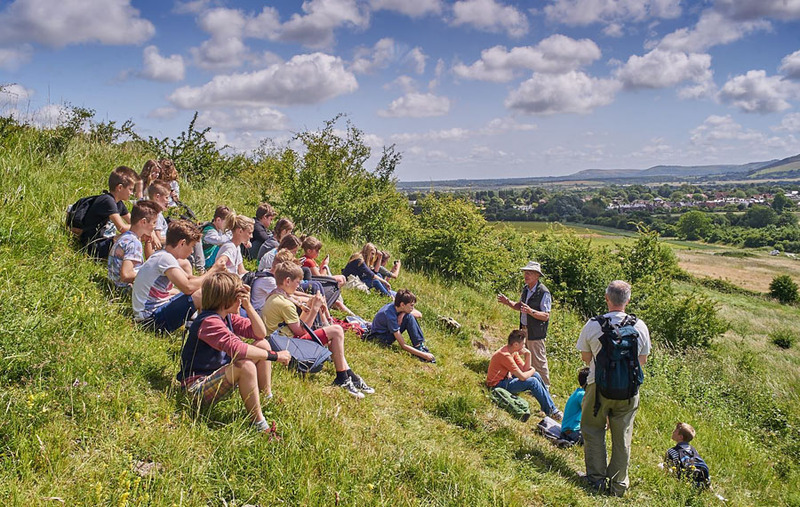 Each year between October and February teachers from the Steyning Grammar School take 8 tutor groups of 30 children for a day onto our Downland to learn about practical nature conservation. The students always have a wonderful time, doing tasks such as clearing back scrub and cutting down invading trees with bow saws. At Steyning Coombe, the Downland Task Force have been clearing invasive trees from ancient chalk grassland for several years. It’s fair to say that the school children have had a crucial role in saving this important habitat from loss – thank you Steyning Grammar School! We also host a Sunday Conservation Group which runs from 10am to 2.30pm on the last Sunday in the month for children of all ages from Steyning Grammar. 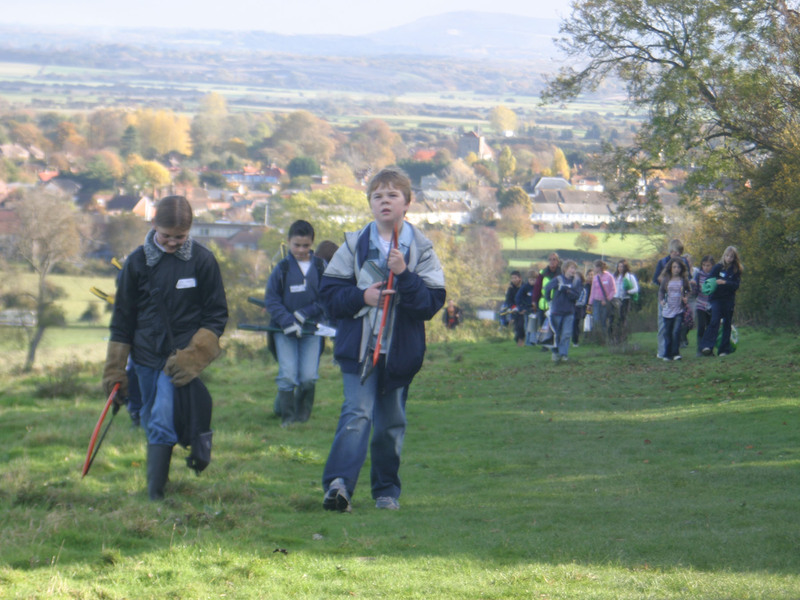 To find out more about the amazing conservation work that Steyning Grammar School does on the Steyning Downland Scheme, please contact Christine Humphries. They produced a series of drafts that were commented upon by the Steering Group and Trustees and then tested their designs with shoppers in Steyning High Street before presenting us with the final product – thank you SGS!